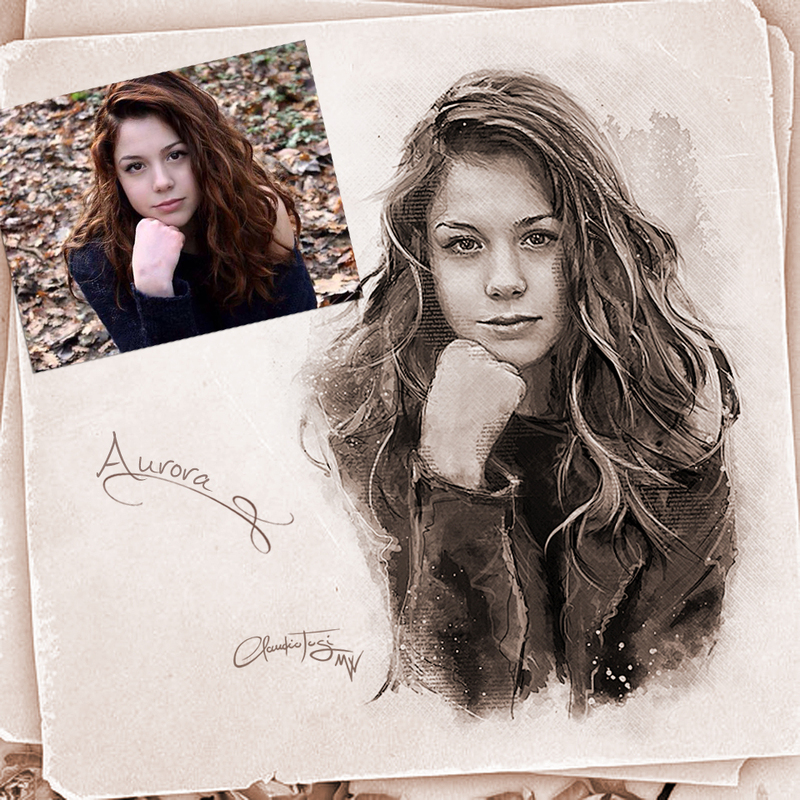 In this page you can send me the image you would like to use as a model for the realization of an artistic portrait. 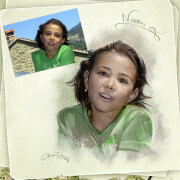 The name of the attached file will be the title of your portrait that I will make for you. Just you send your request, you will receive your order number. The works follow the order of the received bookings. Is visible on the top bar, a note which indicates the progress of orders. 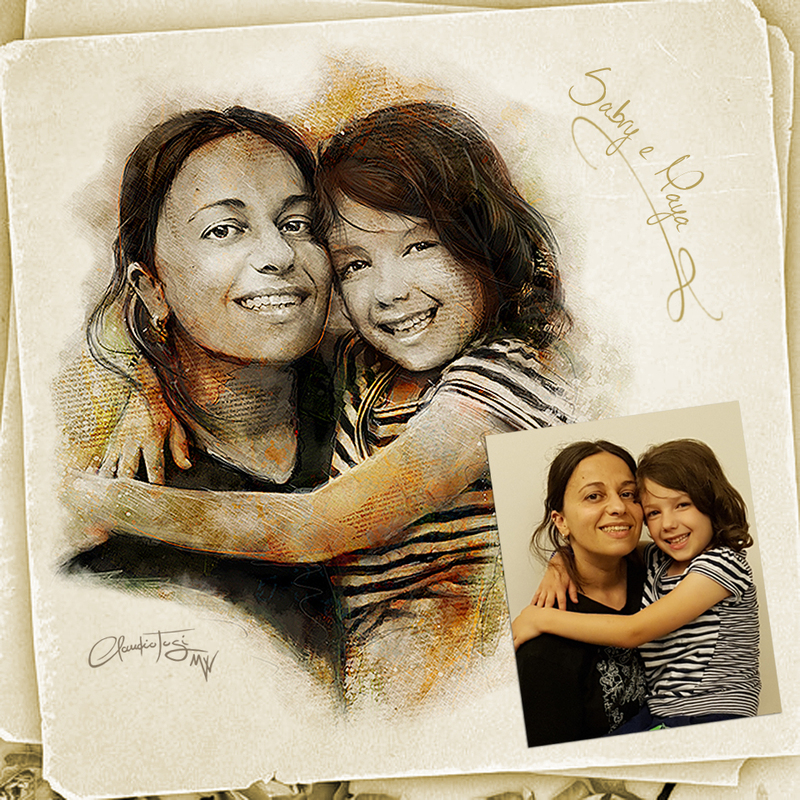 You will be notified when I begin to work on your portrait. Scroll down to view prices. If you have selected digital printing, the link to the page of your product will be activated within 24h / 48h. The product will be active 30 days at the end of which, if requested by e-mail, removed. Indicates the number of subjects, they can be people and/or animals. Choose the desired format, style and color. Send at least one image of good quality. Make sure that the subject to be portrayed is clear and well defined. Required image format: JPG. Finally click “Order” – Preliminary phase of assignment at cost € 0.00. Optional: send a note if you think it is important to inform me of the details or preferences in the implementation phase. COD: Order #. Categoria: Modulo d'ordine. 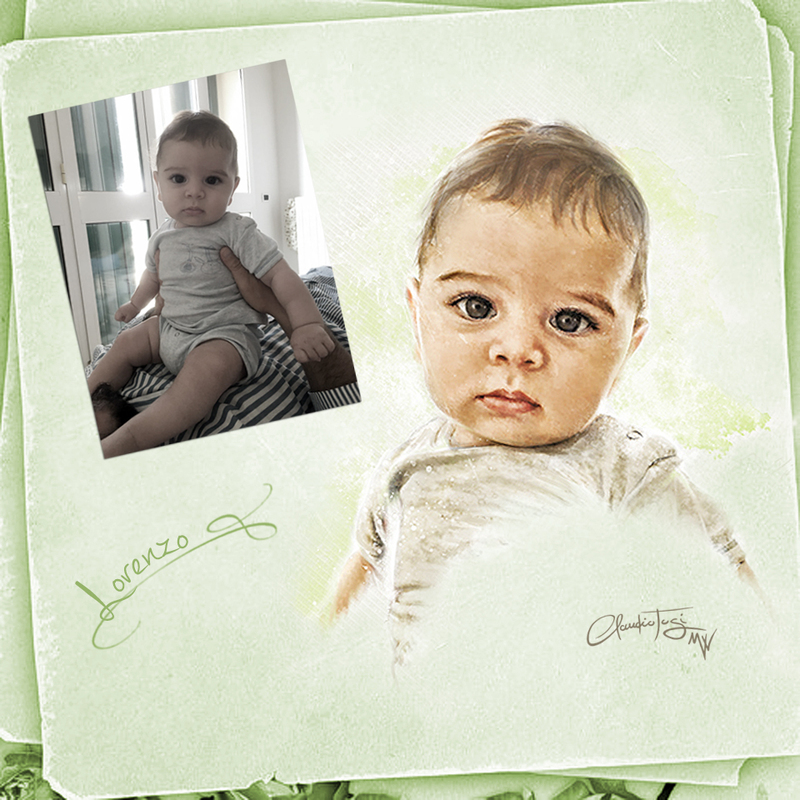 Etichette animalportrait, assignmentforportraits, catsportrait, childrenportrait, Commission, commissionedpotraits, Customizations, dogsportrait, familyportraits, natureportrait, Portrait, portraits, vintageportraits, weddingportraits. Included: Standard/non-commercial Licence and Certificate of authenticity. Client: I received the message that my portrait is being processed. How long do I have to wait to see it preview? 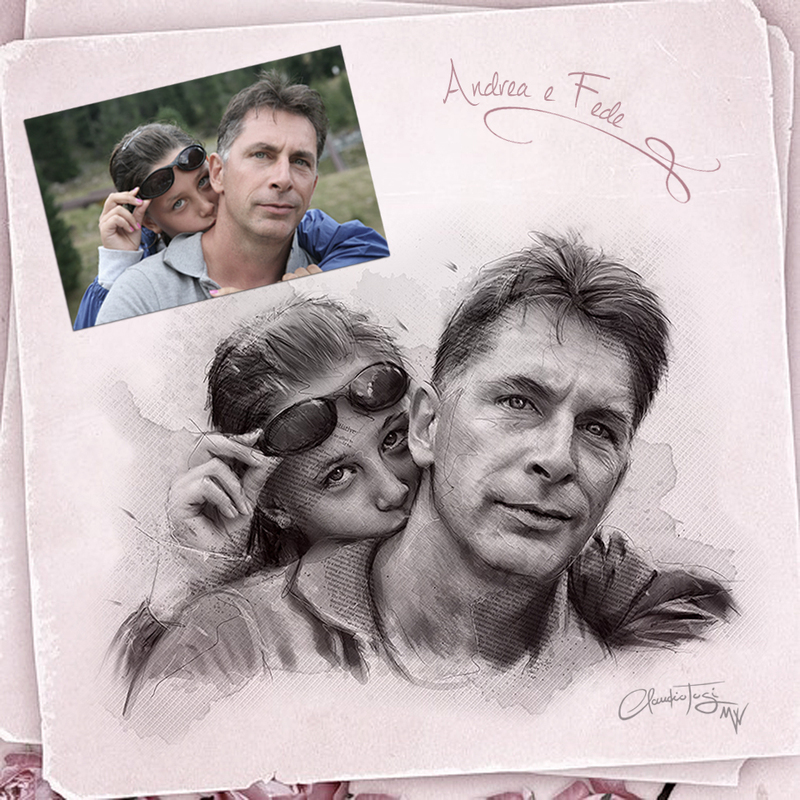 Claudio Tosi: For a single portrait, usually between design study and manual/digital drawing, approximately 3/5 working days, considers that an artistic portrait can take more time than another. 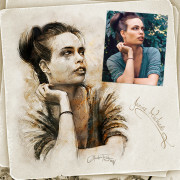 For jobs with multiple subjects depends on the complexity of the portrait. 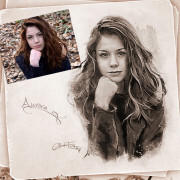 I ask you patience because the time, for artistic work, should not be a factor that could jeopardize the final result. Customer: How much time does the preview remain on your site? Claudio Tosi: A week. I think it is a useful time to evaluate the work performed and make your own choices. It is always possible to request by e-mail the reinstatement of the preview by communicating the order number. Client: How is the portrait performed? 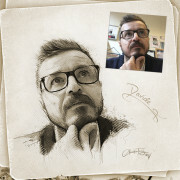 Claudio Tosi: It’s a mix of different techniques (mixed media). 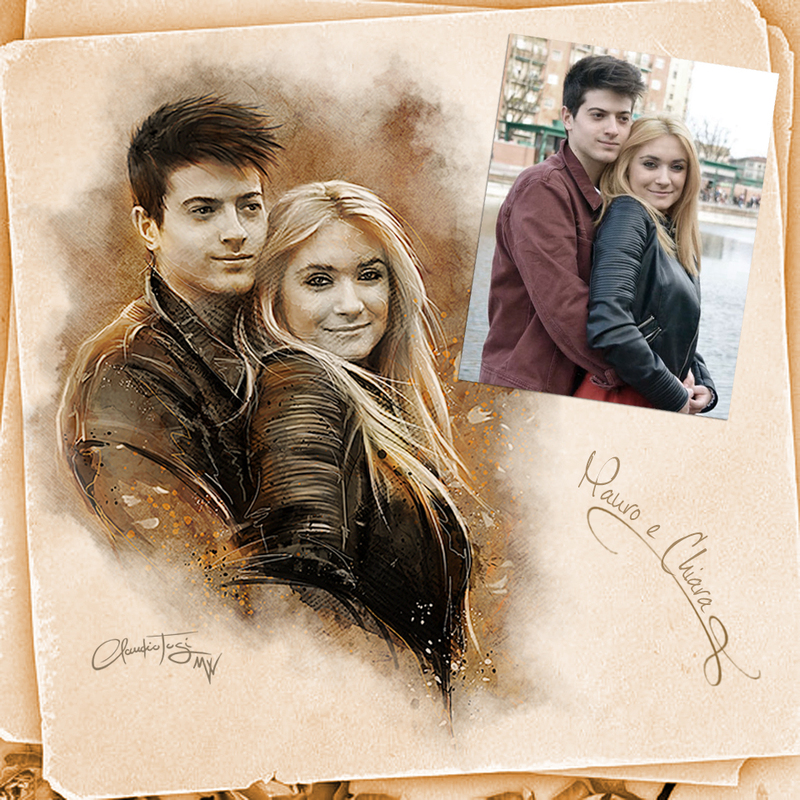 The sketch/preliminary design is drawn by hand on white paper, your photo is used only as a reference model. Then the design is converted into a digital file, finished by hand and colored with the pen drive on a tablet. Finally, according to inspiration, it can be accompanied by particular textures. The end result is a high resolution file that can be adapted and printed from small to large format for every need. Client: Is it possible to make a portrait of animals or just people? Claudio Tosi: Yes, I design both people and animals without problems, I only need to know how many subjects I have to portray. For very particular figures, fantasy or otherwise, settings or landscapes send me an email to art@MirrorWalkers.it without attaching the image to understand the difficulty of the overall work and understand if the work requires an added cost that will be communicated to you. In the preview stage the price of the commission fee will be adequate. Client: Does the cost of the assignment vary depending on whether the painting is in color or in black and white? Claudio Tosi: No, it does not change. Generally I evaluate from time to time what may be the proposal that I consider ideal, if you have special preferences I kindly ask you to notify me in advance in the “Notes” box. Customer: I would like to choose a photo but I am undecided between many. How can I do? Claudio Tosi: No problem. You can attach up to three images, I will evaluate for you what I think may be ideal and report it to you. If approved, I will proceed working on the chosen one. Client: Do you also create artistic nudes? Claudio Tosi: Of course. If you requested in “Notes”, the preview will be sent to you in a confidential way by e-mail, nothing will be published undesired. Client: I would like to ask if it is possible to communicate only the theme of the painting without sending the photo. Claudio Tosi: This specific page is dedicated only to commissioned portraits and at least one photo is required. 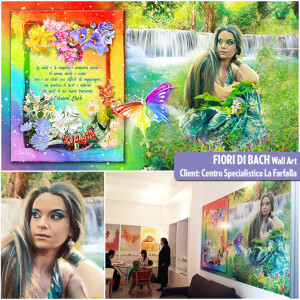 For different or very particular requests visit the Art Gallery page, evaluate which type of service meets your needs and fill out the dedicated form describing the desired project or theme, you will receive a specific quote. Client: Why two separate payments, assignment and file and/or Print? 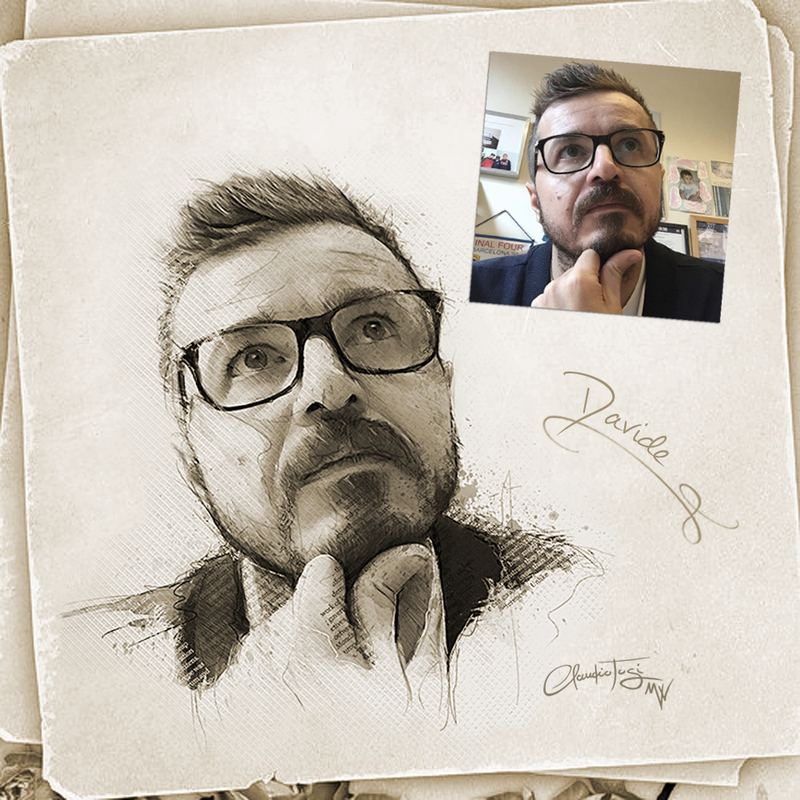 Claudio Tosi: I have verified and believe that Curioos.com is currently among the best in terms of print quality, products and materials used. They ship worldwide and shipping costs are also appropriate for Italy. 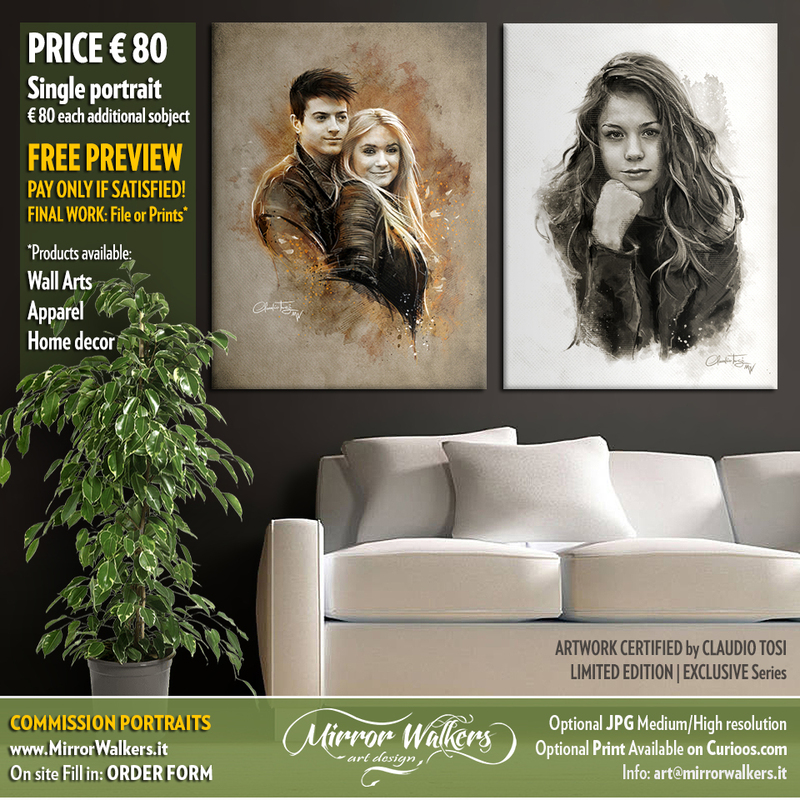 In addition, the customer, once satisfied with my work and paid my commission, has time to decide which size or type of printing is ideal and calmly make their choices or, why not, divide the expense in two distinct moments. They are unique and exclusive works that will remain forever, do not buy any good. Rightly, take the time necessary to review the different proposals and decide. 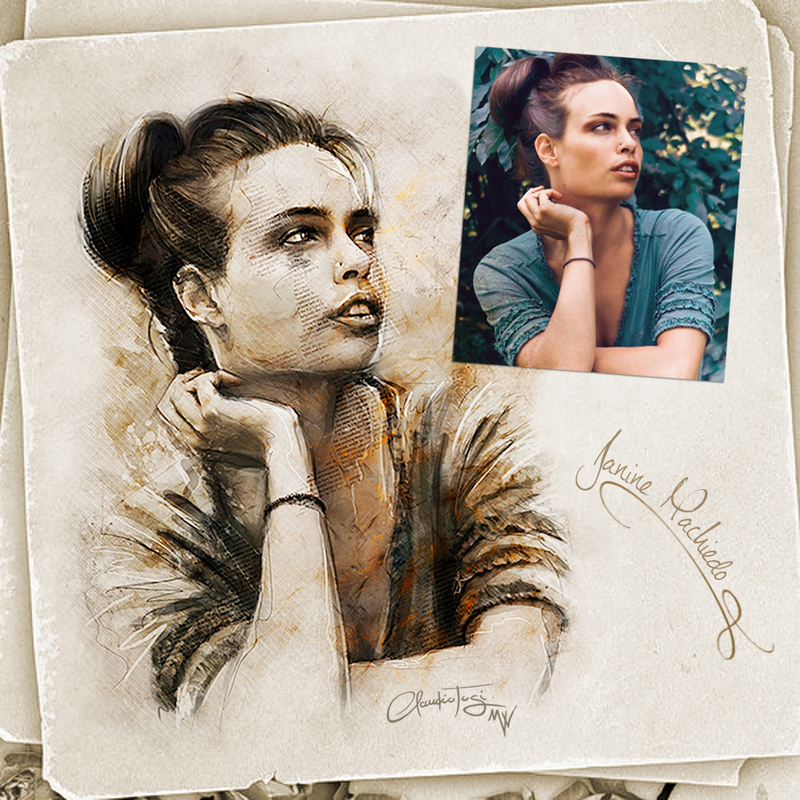 Client: I would like to commission a thematic portrait for my commercial activity, I would like to show it, is it possible? How does the License work? 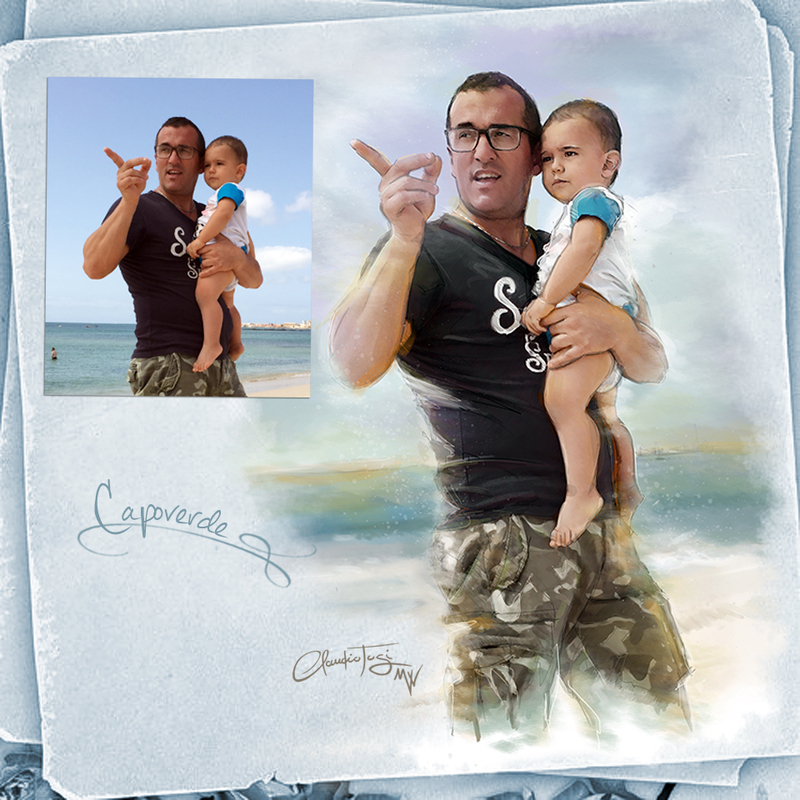 Claudio Tosi: For commissions of this type, for private exhibition use, a standard/non-commercial license is attached to the work. To be clear, you are free to display it in your room, but the framework itself can not be resold in return unless you require an illustration for commercial purposes (Standard License or Extended for commercial use), in case I refer you to the examples in Art Gallery section where you can find the ideal solution and request a quote. Do you have any other questions? Contact me!